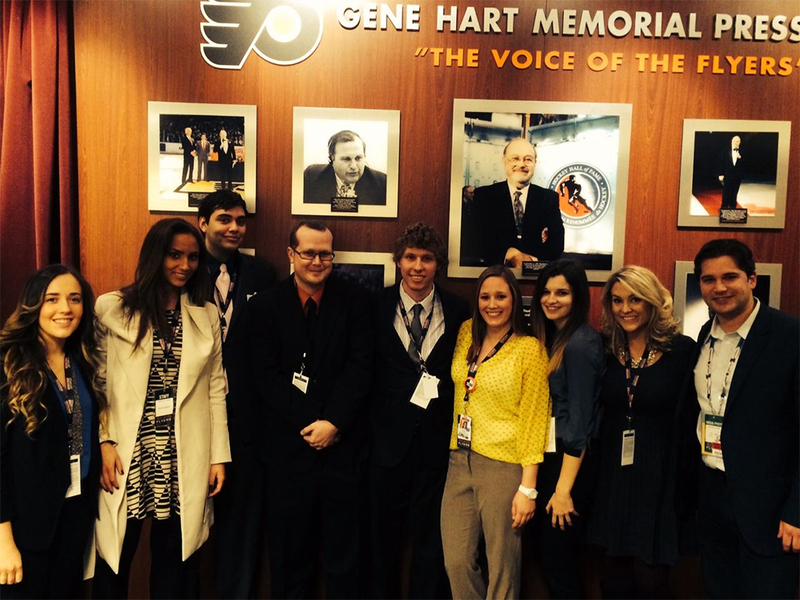 My experience as a Public Relations Intern for the Philadelphia Flyers has been anything but boring. This internship has opened up many avenues for me and has helped me to better understand what I want to do after college. I am currently in the middle of my second season with the Flyers as their head full-time intern and it’s definitely not an easy feat working full-time and taking a full course load, but I wouldn’t trade it for the world. I never thought I would love a job as much as I have fallen in love with this one, and I can only hope that I will find a job like this when I graduate. It has shown me that money is not nearly as important as being happy. As an intern I’m lucky to even be paid at all, but as I said previously, I love this job and the relationships that I have formed while being here for just two short years. When I first learned that I was offered the position, I told myself that this was an opportunity job; a chance to understand hockey more, and also learn how an organization and a team function together. I was so surprised at how much goes on behind the scenes for the production of a game. As a fan, we’re not really exposed to any of it; we just show up, cheer our team on, and hope for a win. I honestly can’t imagine what it’s like to be a fan now, because I am so associated with being an employee and quite frankly, I don’t mind it at all. Never in a million years did I dream that I would work for a professional sports team or be this invested in one, but all I can say is that I feel as though I have found my calling. I can’t pick one favorite memory or one funny day, because each day that I’m here, something new, exciting, or fun happens. I could go on and on about how many funny but awkward interactions I have had in passing with the players and coaching staff, or how many times I’ve done something embarrassing, or even just the relationships I’ve formed with the writers and staff here, but I think what’s most important is the experience as a whole. As a wise person once said, “choose a job you love, and you will never have to work a day in your life.” I truly do believe that I have found that job, because it never feels like work here. College is the absolute best time to explore your options, but if you find an option that you love and feel consistently driven to do a better job each day, then stay with it. Although graduation is a few months away and I’m slightly dreading it… I’ve narrowed my job search: I only want to work for a sports team, in particular for a hockey team, doing something remotely close to what I do now for the Philadelphia Flyers. 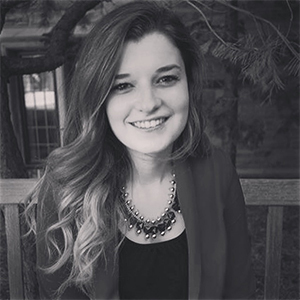 Sara LaMachia is a senior Communications major and Journalism minor at SJU from Bordentown, New Jersey. 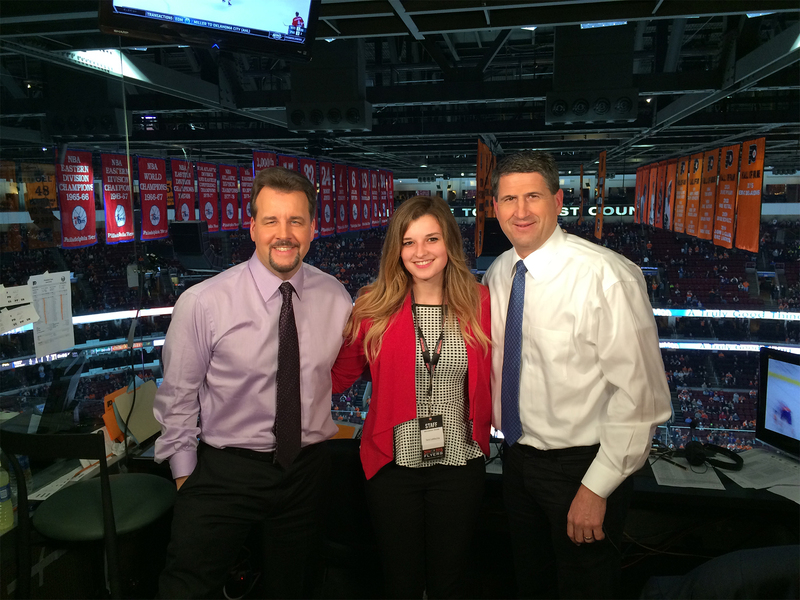 She interns full time for the Philadelphia Flyers, serves as a work study for the SJU Communications Department as their Social Media Coordinator and works for the Athletic Communications Department as a post-game reporter. After graduation, she hopes to pursue a career in digital media for a professional sports team.